The Raspberry plant, or Rubus idaeus, is a cane-producing bushy shrub that produces the raspberry. Raspberry is a very beneficial fruit for our bodies. Stems can grow taller than 6 ½ feet (2 meters) tall. Raspberry grows in the wild near the edges of forests – it’s name in French, “framboise”, come from the contraction of the words “fraise des bois”, forest strawberry – and in mountainous ranges across the world. Gardening: how to grow raspberries. Soft and flesh raspberry fruits are very fragrant and many find them extremely palatable in desserts, jams, jellys and other sauces. From a medicinal point of view, raspberry plants were once highly sought after. They have been cultivated since the end of the Middle Ages. Raspberries grow in the wild in many countries, but it is especially due to the discovery of indeterminate raspberry species that cultivation became widespread in the ’50s. Raspberry leaves make for delicious herbal tea that is an effective diuretic (2 oz (60 g) for 1 quart (1 liter) water). Raspberry leaves also have astringent properties, are very effective to deal with intestinal problems, in particular diarrhea. External use for leaves shows them to also be extremely effective: gargle in case of sore throat, mouthwash if you suffer from canker sores, lotions to treat ulcers and simple application on irritated eyes. Raspberry leaves are tonics for the uterus. 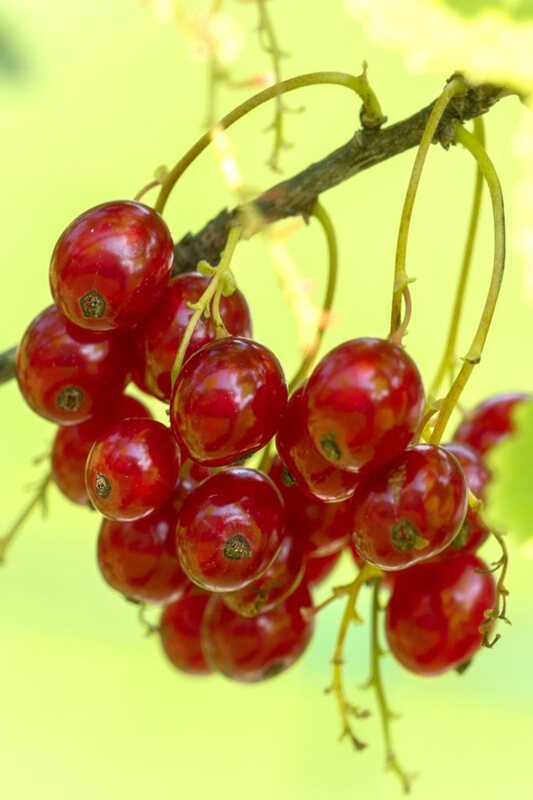 They are drunk in herbal tea (together with lemon balm, nettles, Saint John’s worts, lady’s mantle and common yarrow, each in equal parts) to prepare muscles before giving birth and increase the strength of contractions. 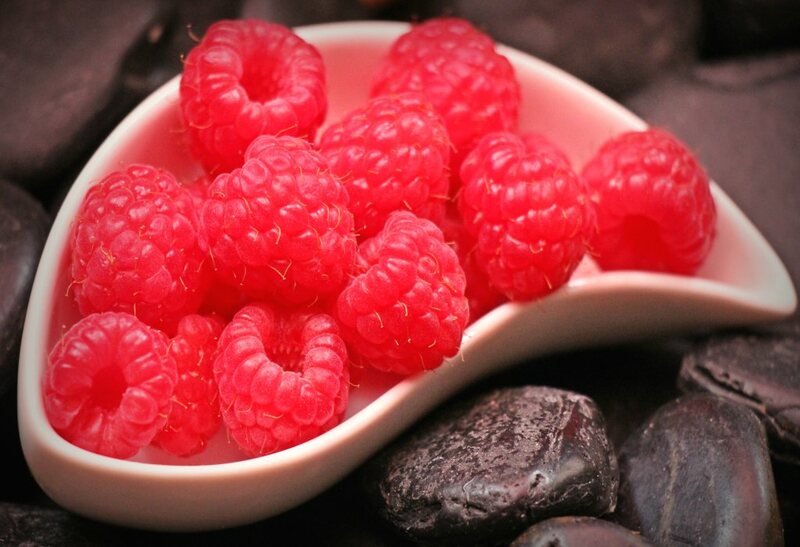 Raspberries are delicious fruits that are refreshing, diuretic and laxative. With very low sucrose levels, this fruit is not prohibited to diabetic persons. Raspberries contain folic acid (vitamin B9) : it is recommended for pregnant women at the beginning of their pregnancy. Some say that it might help prevent Alzheimer’s disease. Raspberry leaf infusion – 1 2/5ths to 1 4/5ths oz (40 to 50 g) leaves for 1 quart (1 liter) water. Let steep for 10 minutes. Drink 3 or 4 cups a day. Against diarrhea or before giving birth (drink from the 7th month). Raspberry vinegar – delicious, this is prepared in the following manner: place fruits in a jar, and fill with white vinegar (about 1 quart (1 liter) vinegar for 3 ⅓ pounds (1.5 kg) fruits). Macerate for 10 days, filter. You can sweeten this syrup with sugar of honey. If you wish to prepare domestic raspberry liquor, replace the vinegar with clear brandy. External use – all above-listed preparations, leaf infusions, syrups, vinegar or sweetened vinegar syrup are effective against sore throat when gargled. Raspberries like part sun or light sun, as well as slightly acidic soil, rather humus-rich, well-draining, neither too dry in summer nor too wet in winter. Gardening: how to grow raspberry. Plant your raspberry plant as hedges, along a wired fence. They will protect against intrusions thanks to their thorns, and still be appealing thanks to their fruits. What about potted raspberry plants? – Gray mold – leads to whitish spots on fruits. – Raspberry worms – a 1/10 inch (3 mm) flying insect that lays eggs in the flowers. Their larvae, tiny white worms, develop in the fruits. – As for the rest… powdery mildew, aphids, desiccation, spots also can weaken raspberry bushes. Eaten as is or sweetened with sugar, raspberries can be eaten raw. There are variations of juices, syrups, pastries, ice creams, jams or to flavor vinegar. Liquors and brandies are also produced from raspberries. 38 kcal / 3.5 oz (100 g). Raspberry contains vitamin C (25 mg/100 g). It has high levels of trace elements: iron (with 0.7 mg/ 3.5 oz (100 g), it is one of the highest), calcium, magnesium. Raspberries are also fiber-rich, which improves intestinal transit. Raspberry leaves are astringent, tonic, purgative and diuretic. Organic acids contained in raspberries help regulate blood pH levels after exercising. Are you looking for a refreshing alternative to tiramisu? Go for raspberry tiramisu! And for an original and light dessert, try raspberry clouds made from yogurt, egg whites, sugar and of course raspberries!